Franchise development marketing is a competitive business. With all the choices available, investors need confidence in a brands history, future and potential for profit. 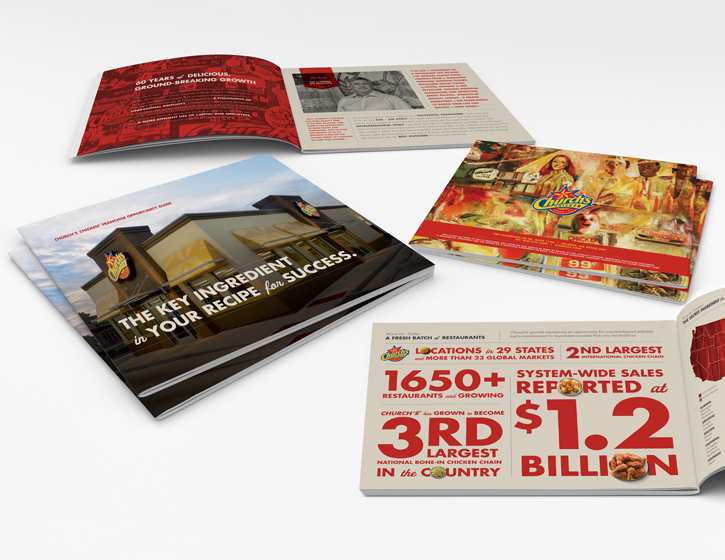 VWA was selected by Church’s Chicken to bring their brand story to life for potential franchisees. The multi-page sales brochure outlines leadership, success and a brand story that investors could take to the bank.